The Devil sent -Amorality- to seduce your soul. 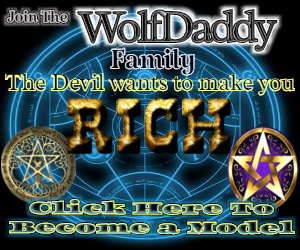 By clicking the button, you will be raising -Amorality- to the first position on the main page for 60 seconds. During this time the model's chat room will become much more visible and incredibly popular! A notification about your action will appear in the chat, visible to the model and the other chat users. -Amorality- will be sure to appreciate this gesture and be immeasurably grateful to you! Lily, 21 age. Nice to meet you. На спайгазм поедешь со мной,чи шо?